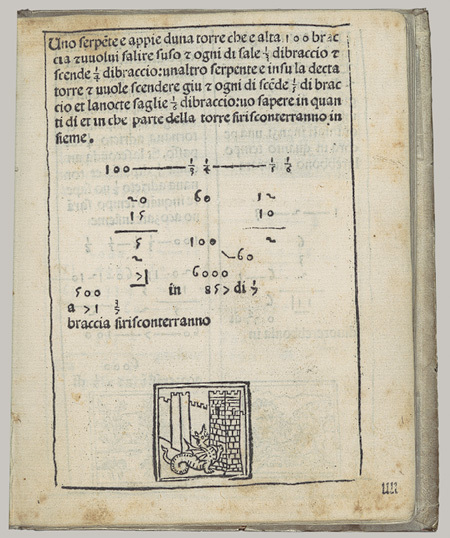 Aritmetica (Arithmetic) Filippo Calandri Florence: Lorenzo Morgiani & Johannes Petri, January 1, 1491/92 Book with printed text and woodcut illustrations. Met Museum, NYC. 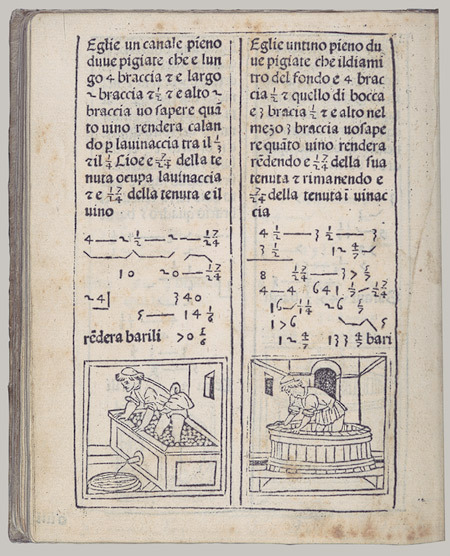 One of the first illustrated textbooks. 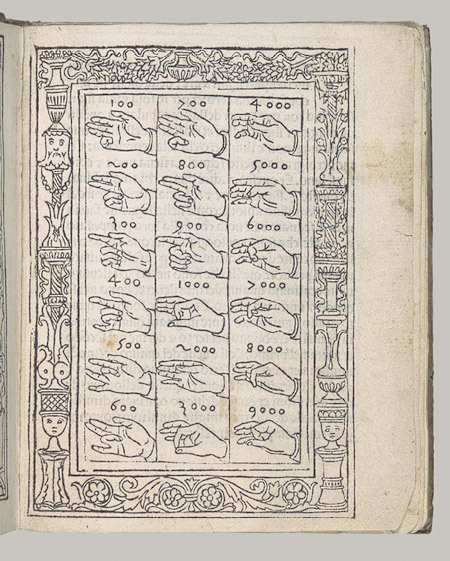 The low price of such a text would have made it available to far more students than earlier teaching materials, which had been written by hand on vellum. The small size and the many diagrams made it easier to use, while the pictures must have made math much more bearable to small boys. We hope this post finds you finished with grading … or nearly there. AHTR is taking a hiatus for a few weeks returning on January 22, 2015, to announce the launch of the new AHTR site. We–AHTR’s growing community of contributing editors, site editors, and lesson plan contributors–are really excited to share this milestone. Keep an eye on the AHTR Journal in 2015–One of the first journal series in January will focus on survey exams. Alexis Carrozza will get us started with a post on how her classes prepare for exams, and Karen Shelby will follow with some ideas on how to write effective exams. We’d love to hear from the wider AHTR community for this series–if you have ideas on student review and preparation for exams, the writing of exams, or other related areas within this topic that you would be willing to share, please send us an email at teachingarthistorysurvey@gmail.com. We would love to hear your ideas and include them in this series. AHTR will be presenting at CAA 2015–AHTR is part of the panel “What have you done for art history lately?” organized by Karen Leader and Amy Hamlin. The session will be held on Friday February 13 from 2:30-5:00 on the 3rd floor West Ballroom at the Hilton Hotel in New York. We wish you a very happy and healthy holiday season! See you all in 2015.